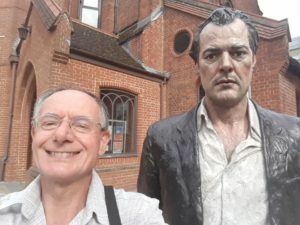 6pm We’re joined by Dr Chris Bore, a Consultant in Digital Signal Processing, an author, community champion and organiser of Café Scientific in Woking. Café Scientific is a national movement for entertaining open science talks at lively informal venues: a relaxed venue with catering, a short talk on a scientific topic, questions, and discussion. Informative, relaxed and enjoyable. Woking’s Café Scientific is on the 2nd Thursday of each month in Seasons Café at The Lightbox – more than just a gallery – an ideal place to enjoy the eclectic mix of science that Woking as a lively non-University town can offer. In the 2nd hour we continue with more lively local chat, a selection of events & happenings from around the area, plus lots of music to see in your evening. Join Jackie & Zahir 6-8pm on Radio Woking. 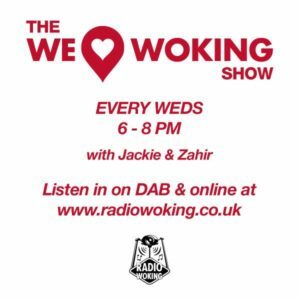 To listen on your mobile/tablet, you can download the free Radio Woking app.